From companies to individuals, everyone has a responsibility to treat natural resources with respect. To call the growing efforts of conservation in the frac industry a “trend” or simply a response to public pressure doesn’t do it justice. For companies like Alpine Silica, conservation isn’t just something we do to keep up with the competition. We operate knowing that if we don’t treat our resources responsibly, we’re doing a disservice to the communities that have trusted us with their land and water, as well as to our own future frac endeavors. All this is a dramatic way of saying, Alpine Silica cares deeply about its environmental role, and we’re constantly working to improve our water conservation methods. Our ultimate goal is to conserve resources as much as possible. What this process looks like will vary according to the core samples we get from the ground, but at every site we minimize groundwater usage, reuse water when quality allows, and recycle the twice-used water. 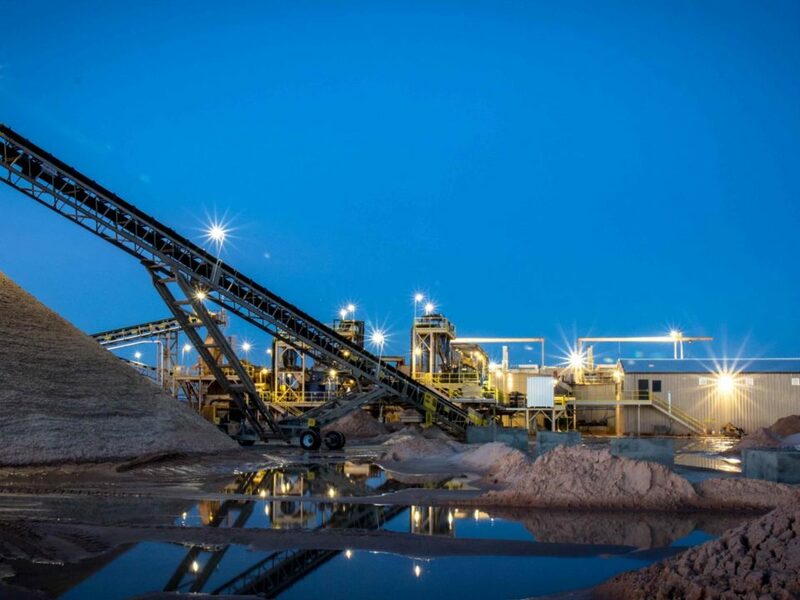 The reclamation/recycling process is constantly evolving as new technology becomes available, but the level of technology applicable at each site depends on the soil. 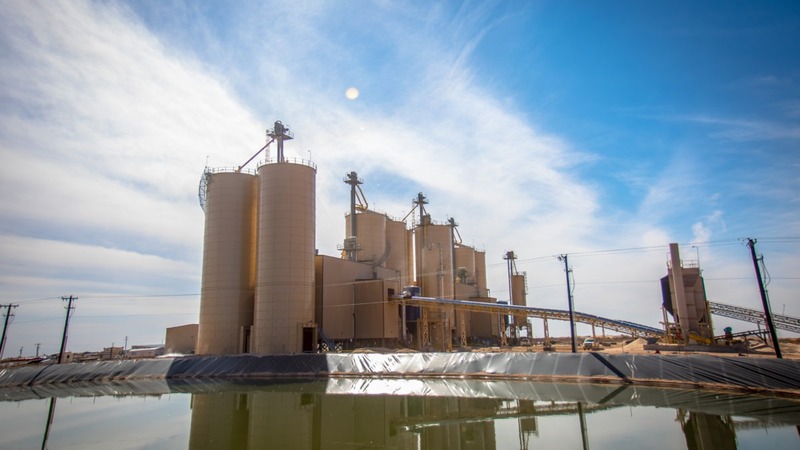 At Alpine Silica’s Kermit location, we primarily use a filter press and recycling ponds. Another industry standard is the filter belt press, but due to the nature of the ground in Kermit, the filter belt press doesn’t effectively clean the water at the level needed to maintain quality. The goal with any of these methods is to recover the largest amount of water possible. However, we also have to deliver the high-quality sand we promise to our customers. For this reason, our processes and plants operate with both quality control and environmental responsibility in mind. 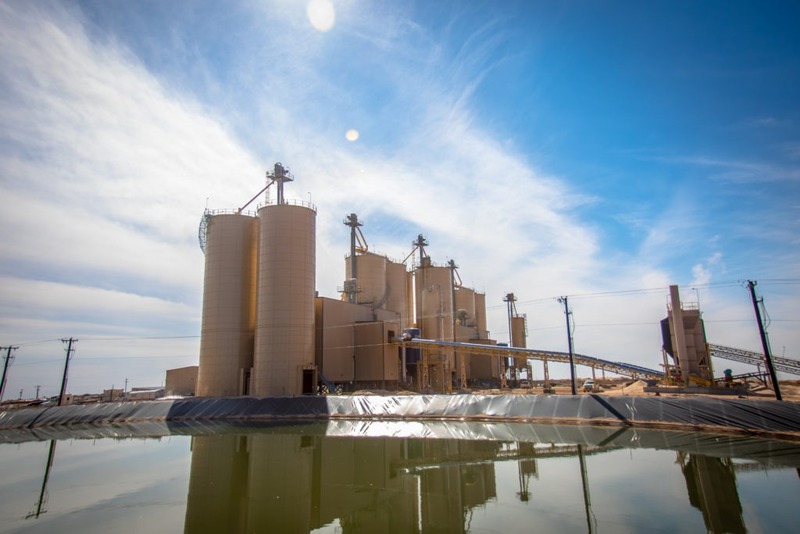 The wash plant at Fay, OK is designed to reuse 4376 GPM, recycling 4709 GPM in the process. Using 344 GPM of groundwater, Alpine Silica is currently able to recover 26% of its water. While that’s an industry standard, we’re committed to seeing that number go up over time. The frac industry is competitive by nature, but the beauty of conservation is that it’s a collaborative effort. 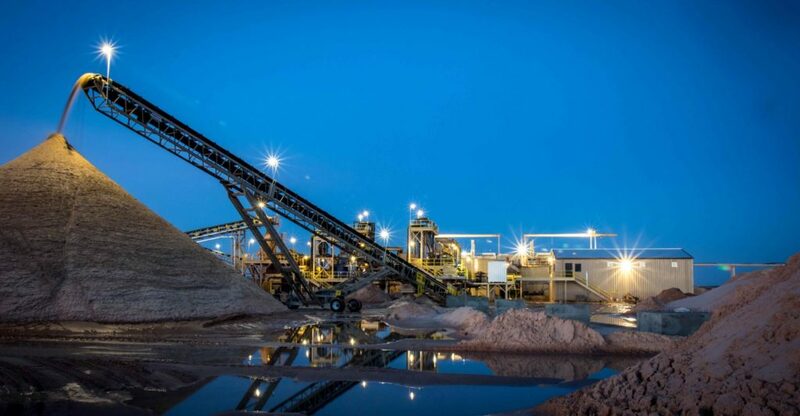 The communities in which we’re mining come first, and the frac industry as a whole recognizes the importance of creating and sharing new conservation technologies that will help us all move closer to an increasingly cleaner future. It’s in everyone’s best interests to learn as much as we can and act on new findings. Our frac plants are not a short-term venture, and we wouldn’t be doing ourselves any favors by plowing through water without thought to what we’re leaving behind. Alpine Silica has always been committed to being good stewards of the resources entrusted to us, especially the local aquifers. We’re excited to develop our conservation methods as technology evolves. In the meantime, we continue to use the best available practices to ensure we’re not compromising our environmental impact in favor of our economic one.